Helps people with limited arm, shoulder and hand movement bathe independently. Back Ordered - Call for ETA. 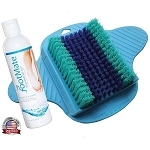 The Body Care Long Handled Back Scrubber is an ergonomically designed, curved long handle back washing aid that allows users to easily reach all over their back. People with limited arm, shoulder or hand movement due to arthritis will find this bathing tool helpful for increasing their self care independence. 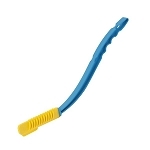 The Body Care Long Handle Back Scrubber handle is made from lightweight polypropylene, and is carefully balanced to minimize stress on arthritic joints. The oval shaped ergonomic grip has a non slip texture that provides a secure grip. 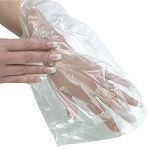 The nylon wash cloth with polythene lining washes effectively without absorbing water. As a result, the back scrubber will always stay balanced, even when wet. The back washing aid is balanced to provide maximum power with minimal effort and strain. 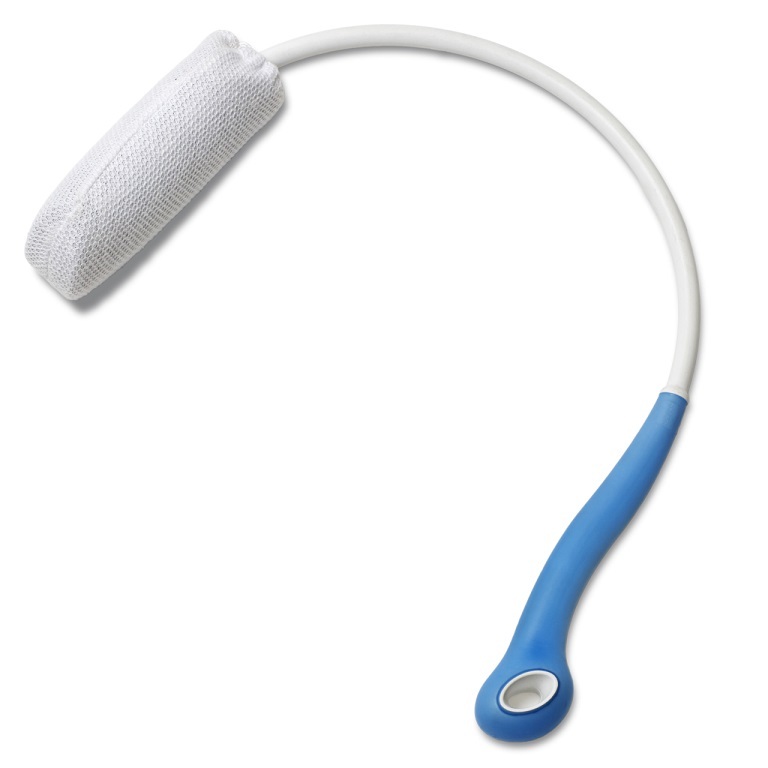 The Body Care Long Handle Back Scrubber measures 30 inches long, 11.25 inches deep, and weighs 7.1 oz. My shoulders have limited flexibility so even using a long handle bath brush did not let me wash all of my back. This item takes care of that. It is well made, easy to use and really appreciated. Wow! What a great device for people like me, disabled and in constant pain and of course can't reach my back. This scrubber is so awesome, and it's easy to clean and it dry's well without getting that mold build up like some back washers, and the curved handle is fantastic to use without staining your arms to use. I just had shoulder-replacement surgery, and something like this was in a picture of recommended things for me to try. I took a chance on this one. I've only used it once so far. I wish I could've gotten it a little flatter against my back, but over all it did the job--I just wish now that I knew about it in the year(s) leading up to the surgery when my shoulder pain was making it increasingly impossible to brush my whole back properly. my mother says this works well. She has very limited arm movement due to severe arthritis and this was the answer. Q: How do you apply enough pressure to actually Scrub? 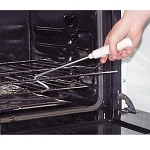 A: The handle is not flexible so when you scrub you can apply pressure without much effort. Q: Is the arm flexible? A: The arm is somewhat flexible but it is a fixed curve because it is carefully balanced. Q: Can the end be washed-machine washed? A: Yes, the nylon wash cloth can be removed and washed on delicate. Air dry. 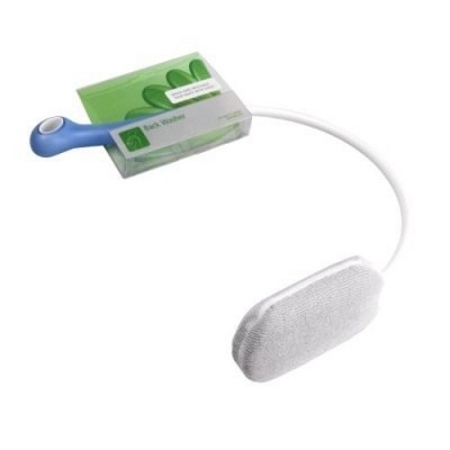 Q: ASP 6629-BODY CARE LONG HANDLE BACK SCRUBBER ASP270-HELPING HAND COMFI GRIP FOOT SPONGE ADP20-FLEXIBLE LONG BATHING SPONGES :: ROUND OR CONTOURED Can any of the above products be returned if still in their UNOPENED PACKAGING? I need to see and feel the weight before deciding to purchase and keep. A: Yes, they can be returned only if they are UNOPENED. Please read the return policy carefully before completing the order.